The Padres announced this evening that they have designated infielder Carlos Asuaje for assignment. His roster spot will go to righty Garrett Richards, whose previously reported two-year deal is now official. Asuaje, 27, originally came to the organization as part of the multi-player package received in exchange for closer Craig Kimbrel. The left-handed hitter has appeared in each of the past three seasons with the Padres but will now make way for a more-hyped crop of middle-infield talent. Though he showed promise at the plate in 2017, Asuaje struggled quite a bit last year. He finished with a .196/.286/.280 slash through 218 plate appearances, though he did have a much better showing during his time at Triple-A (.314/.386/.463). Teams considering Asuaje may find some comfort in the underlying numbers. Asuaje boosted his walk rate to 11.0%, which could bode well for the future. And he carried only a .243 batting average on balls in play in the bigs. That was an unlucky figure, Statcast suggests, crediting him with a .288 xwOBA that dwarfs his .255 wOBA. Of course, even Asuaje’s hypothetically deserved offensive output wasn’t all that exciting. If he’s to carve out a role, it’ll likely be as a utility player. Asuaje has hit much better against right-handed pitching, which limits him but also suggests he could be useful in a platoon role. Defensive metrics have not loved him in a limited sample, though he’s generally considered a solid defender. There’s some value in the fact that Asuaje is still optionable for another season. On the other hand, it doesn’t help his cause that he has never been considered capable of playing shortstop, though he does have plenty of lower-level experience at third base and has also spent some time in left field. All told, it’s possible he’ll be claimed, but by no means a given. As for Richards, he’s still a long ways away from contributing on the field in San Diego, as his first priority will be to rehabilitate from Tommy John surgery. He’ll reportedly receive a hefty $15.5MM guarantee in hopes that he’ll be able to get back to full strength and provide the Friars with a high-quality rotation piece in 2020. The Dodgers and Padres are among the teams pursuing free agent righty Garrett Richards, with Jon Heyman of Fancred (via Twitter) reporting that both have made offers. The Los Angeles organization, in particular, is said to be “making a push” to keep the long-time Halos hurler in the region. Richards has been derailed by elbow issues for some time now, recording only 138 2/3 total innings since the start of the 2016 season. While he was able to stave off Tommy John surgery for quite some time, he finally went under the knife last July and is expected to miss most or all of the 2019 season while recovering. In all likelihood, then, the clubs pursuing Richards will be angling for some sort of multi-year arrangement. The current standard for this sort of situation is a two-year, $10MM pact. That’s what Drew Smyly (with the Cubs) and Michael Pineda (Twins) took home last year under similar circumstances, and it’s also what MLBTR predicted for Richards in our annual ranking of the top fifty free agents. Of course, market forces could push the money or years in a different direction in this case. Richards is quite an accomplished pitcher, after all, having thrown 744 2/3 career MLB innings of 3.54 ERA ball. The high-velocity hurler is a consistent groundball producer (52.5% career GB rate) but has increasingly shown an ability to get whiffs (he has generated more than an eleven percent swinging-strike rate in each of the past four seasons and carries 9.6 K/9 in the past three). 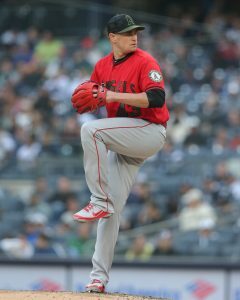 Angels right-hander Garrett Richards has opted to undergo Tommy John surgery to repair the ulnar collateral ligament in his right elbow, tweets J.P. Hoornstra of the Southern California News Group. The news comes on the heels of a recent announcement from the Angels in which they revealed that an MRI had identified some damage to Richards’ right UCL. He was presented with both surgical and non-surgical treatment plans and had been weighing the decision over the past 24 hours. Richards’ UCL tear comes at the worst possible time for the right-hander (not that there’s ever a “good” one), as he’d been slated to hit free agency at season’s end. The 30-year-old had previously rehabbed some UCL damage without surgery back in 2016, opting instead for stem-cell and platelet-rich plasma treatment (much in the same vein as Ervin Santana and Masahiro Tanaka, each of whom has avoided going under the knife entirely, to date). While that appeared to stave off a significant enough UCL tear to require surgical repair, though, Richards missed nearly all of the 2017 season with a biceps issue. The 2018 season had been a largely healthy one for Richards, at least in terms of his right arm. He missed about three weeks due to a hamstring strain but had otherwise pitched well. However, in his just his second start back from that hamstring issue, he departed after three innings due to ever-ominous “forearm irritation” — a symptom that has increasingly proven to be a precursor to ligament damage. Richards, now, will miss the remainder of the 2018 season and most, if not all of the 2019 season as well. He’ll still garner interest on the free-agent market, of course, but what at one point might’ve been an annual salary of $12MM+ on a multi-year deal may now drop to something along the lines of the two-year deals signed by Drew Smyly ($10MM), Michael Pineda ($10MM) and Nathan Eovaldi ($4MM) while each of those respective hurlers recovers from his own Tommy John procedure. Alternatively, Richards could simply follow the route that both Greg Holland and Trevor Rosenthal have taken — opting not to sign a deal at all in the coming offseason and then auditioning for teams to demonstrate his health the following offseason. Either way, it’s quite possible that Richards has tossed his final game as a member of the Angels. Devastating as the news must be to Richards, Hoornstra notes that the right-hander is approaching his latest injury with about as positive an outlook as possible (Twitter link). For the Angels, the move comes as a crushing blow. With just three weeks remaining until the non-waiver deadline, the loss of Richards will only further the seemingly inevitable reality that the team will need to look beyond the 2018 season and sell off short-term assets on the trade market this year. However, Richards was the top short-term asset the Angels had to market to other clubs, and he’ll now be taken off the market entirely, thus depriving the the team of the possibility of recouping any kind of prospect return for the loss of one of their longtime top starters. Beyond all of that, the Angels will continue to face scrutiny for the rampant injury troubles that have permeated their rotation in recent seasons. In the last three years alone, the Angels have had Richards, Andrew Heaney, Tyler Skaggs, Nick Tropeano, J.C. Ramirez, Keynan Middleton, Blake Wood and John Lamb undergo Tommy John surgery, and that already plentiful list doesn’t include the current UCL tear through which Shohei Ohtani is playing (while serving only as a designated hitter). Meanwhile, others such as Alex Meyer, Nate Smith and Matt Shoemaker have gone under the knife for myriad other reasons. Certainly not all of those injuries can be pinned on the Angels. Meyer’s shoulder troubles, for example, date back to his days with the Twins, while Lamb has had injuries of his own and was only briefly in the organization before requiring surgery. Ohtani was known to have some UCL damage at the time he was signed, though reports following the Angels’ recent announcement suggested this to be a new tear. Regardless, the barrage of pitching injuries the Angels have faced in recent years is undoubtedly something that’ll prompt a deep dive from the front office as it seeks to determine if there’s more than sheer coincidence and misfortune at play. Richards, 30, exited last night’s start after three innings due to what was initially termed forearm irritation, though forearm issues are often a precursor to ligament damage in the elbow. He’s been in a similar spot in the past, having been diagnosed with a partial tear of the UCL in his right elbow back in 2016. At the time, however, he opted for stem-cell and platelet-rich plasma injections in addition to a long period of rest and rehab as a means of avoiding Tommy John surgery. That proved effective in sparing him from Tommy John, but the rest and rehab program cost him most of the 2016 season. In 2017, he was sidelined by a biceps injury for most of the year and limited to 27 2/3 innings. The extent of the damage to Richards’ elbow ligament wasn’t specified by the Angels’ announcement, but it’s of note that the club announced that Ohtani had a Grade 2 UCL strain, and GM Billy Eppler has persistently said that surgery has not been recommended by medical professionals. That the Angels immediately announced surgery to be an option for Richards, then, doesn’t paint an optimistic picture moving forward. Regardless of whether he opts for surgery, this type of injury calls into question his availability for the remainder of the season at a time when the Angels can ill afford to lose one of their best arms. The Halos are 14 games out of first place in the AL West and 10 games behind the Mariners for a Wild Card spot after topping the M’s last night (despite Richards’ abbreviated start and injury). The loss of Richards makes it all the more improbable that the Halos will be able to surmount that deficit. Furthermore, with Richards’ status as an impending free agent, he’d have been a logical and highly attractive trade chip had the Angels eventually decided to sell off pieces. The Halos won’t be fielding offers on Mike Trout anytime soon, so Richards would’ve been arguably their most appealing commodity to shop around to other teams. He’s pitched to a 3.66 ERA with 10.3 K/9, 4.0 BB/9, 1.3 HR/9 and a 49.3 percent ground-ball rate so far in 2018. That’s a moot point at this juncture, however, as the injury all but eliminates the possibility of him factoring into the trade market. And from a personal standpoint, the injury to Richards is devastating for his future earning potential. While his lengthy injury history would’ve no doubt given teams pause on the open market even if he’d pitched a healthy season in 2018, a UCL injury at this stage of his career will torpedo perhaps his best chance at a sizable multi-year deal. It’s true that some pitchers — Drew Smyly (Cubs) and Michael Pineda (Twins), for instance — have landed multi-year deals while recovering from Tommy John surgery, but those $10MM guarantees, which could be a best-case scenario, pale in comparison to what a healthier Richards would have earned in free agency. Beyond all of that, the Angels will continue to face scrutiny for the rampant injury troubles that have permeated their rotation in recent seasons. In the last three years alone, the Angels have had Andrew Heaney, Tyler Skaggs, Nick Tropeano, J.C. Ramirez, Keynan Middleton, Blake Wood and John Lamb undergo Tommy John surgery, while others such as Alex Meyer, Nate Smith and Matt Shoemaker have gone under the knife for various other reasons. Certainly not all of those injuries can be pinned on the Angels. Meyer’s shoulder troubles, for example, date back to his days with the Twins, while Lamb has had injuries of his own and was only briefly in the organization before requiring surgery. But the barrage of pitching injuries the Angels have faced in recent years if undoubtedly something that’ll prompt a deep dive from the front office as it seeks to determine if there’s something more than sheer coincidence and misfortune at play. The Angels announced tonight that right-hander Garrett Richards exited tonight’s start due to irritation in his right forearm. He’ll undergo an MRI tomorrow to further evaluate the injury. It’s the latest in a seemingly ceaseless line of injuries to an Angels pitching staff that has struggled to stay healthy over the past several seasons. Richards himself only recently returned from a hamstring injury and was making just his second start since being reinstated from the disabled list. Any serious injury to Richards would be impactful to the Angels on multiple levels. 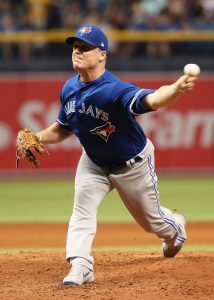 First and foremost, he’s among the team’s most talented options in the rotation and is in the midst of a solid season, having pitched to a 3.68 ERA with 10.3 K/9, 3.9 BB/9, 1.3 HR/9 and a 49.3 percent ground-ball rate through 76 1/3 innings. Beyond that, the Angels are buried 14.5 games back in the American League West and are a similarly daunting 11 games back from an American League Wild Card spot (though they’re poised to move up a game in those standings with a late lead over Seattle at present). If the team can’t put together a significant winning streak in the coming weeks, GM Billy Eppler and his lieutenants may very well be forced to sell off some short-term assets and begin looking toward 2019. Richards would be among the team’s best trade chips with the deadline looming, but this latest injury calls even that possibility into question.